For the first time ever, Apple has released a list of its official suppliers on its supplier responsibility page. This is significant because Apple has previously been notoriously secretive about who supplies its components. For example, we usually have to wait for the teardowns of new products to see what kind of camera unit they’re using. The list reveals over 150 different suppliers, and might threaten Apple’s obsession with secrecy, now that it’s easier than ever before to keep tabs on nearly every single one of its manufacturers. The following is an alphabetical listing of Apple production suppliers. These suppliers represent 97 percent of Apple’s procurement expenditures for materials, manufacturing, and assembly of Apple’s products worldwide. In case you’re not familiar with the supplier responsibility page, it follows multiple subjects, including labor and human rights, worker health and safety, environmental impact and general ethics. The page is in light of the bad publicity surrounding the human rights issues throughout Apple’s supply chain. This includes the use of Chinese suppliers guilty of “systemic pollution” and the Foxconn suicides. Apple prohibits practices that threaten the rights of workers — even when local laws and customs permit such practices. We’ve taken action toward ending excessive recruitment fees, preventing the hiring of underage workers, and prohibiting discriminatory policies at our suppliers. 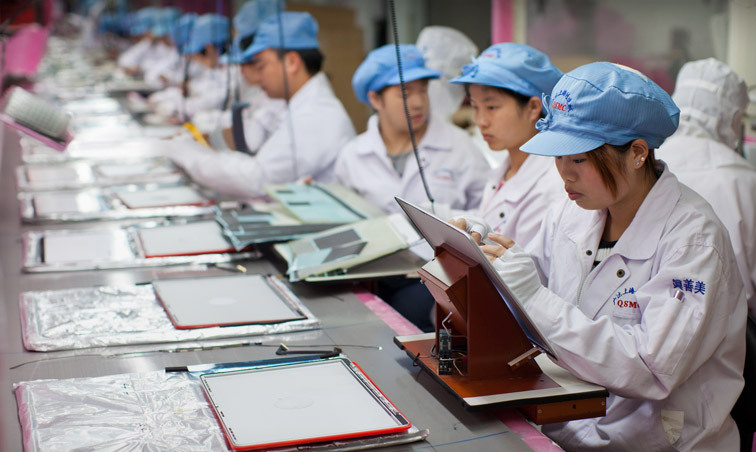 And as the first technology company to be admitted to the Fair Labor Association, Apple is setting a new standard in transparency and oversight. You can view the entire list of official suppliers here, via this link.